If you like whiskey and honey, and a little bit lot of spice, this one is for you! It is fun to come up with booze infusion ideas for friends. All you have to do is pay attention to things that they like, and do your best to infuse their favorite flavors into their alcohol of choice. A friend recently told me that she loves honey whiskey. She also told me that she likes spicy food, “the hotter the better”. That same friend just had a birthday. So her birthday gift was Habanero Honey Whiskey. 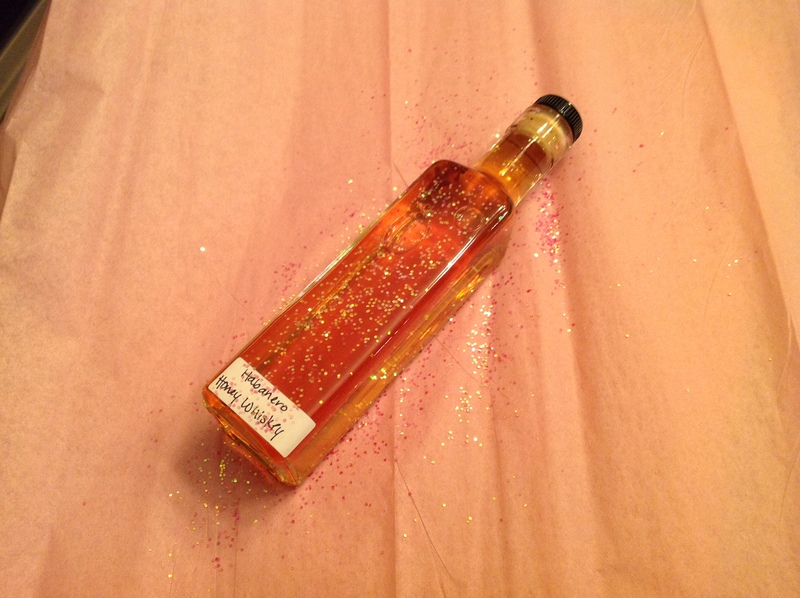 Well, Habanero Honey Whiskey and glitter, because “glitter and whiskey define me” she said. Remove the stem of the habanero and quarter the pepper, keeping the seeds intact. 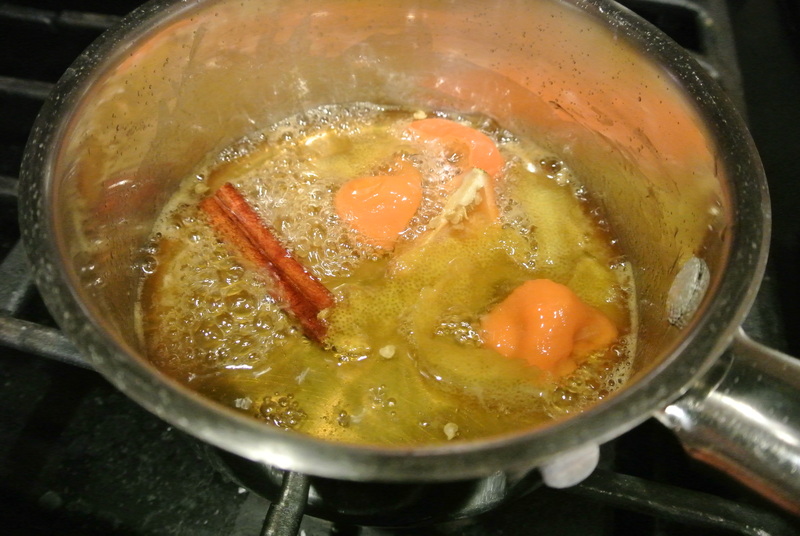 Place the first five ingredients in a small saucepan and bring to a simmer on low heat. Simmer for 5-7 minutes, stirring frequently. Remove the habanero with tongs or a fork. Allow the rest of the mixture to cool completely. Strain out the solids with a mesh strainer. Pour the honey mixture into a pint jar or other infusion vessel. Add the bourbon or whiskey, and close the jar tight. Shake well to combine. After 24-48 hours, strain through a coffee filter, and let the infusion rest for a few days before drinking. 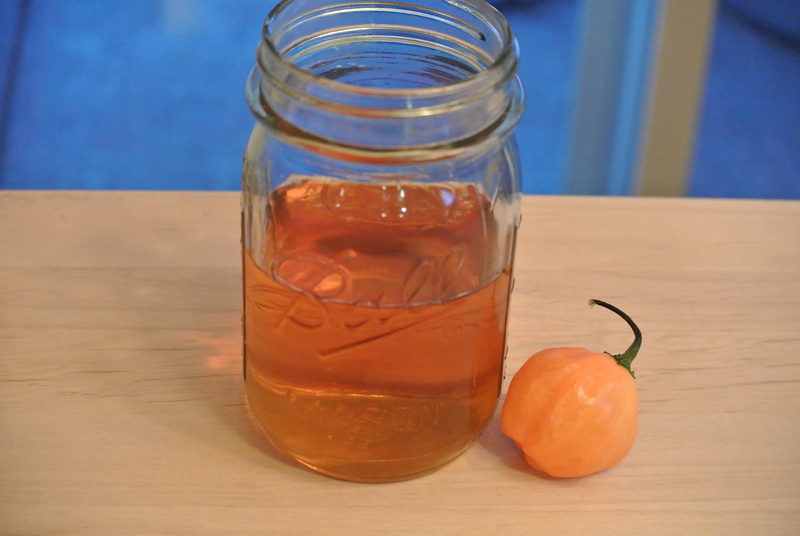 Depending on how much heat you can take, feel free to use only part of the habanero or omit the seeds. * Use caution when handling hot peppers. Use gloves if possible and wash hands thoroughly. 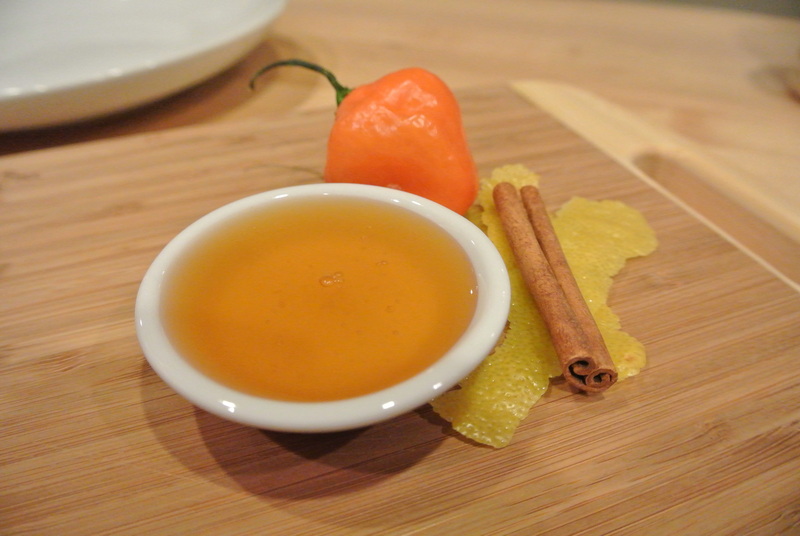 This infusion has the sweetness of the honey, the heat of the habanero, and it sure makes me want some honey whiskey! Do you like your booze spicy? Categories: Drinks, Infusion, Liqueur, Recipes | Tags: Bourbon, cinnamon, glitter, habanero, honey, infused, infused alcohol, infused bourbon, infused vodka, infusion, lemon, Liqueur, recipe, whiskey | Permalink. Happy New Year! Sorry my absence has been so long. I’ll tell you more about it sometime soon. I hope everyone has been enjoying the holidays with family and friends. If you are in recovery from holiday indulgence, this is a simple and relaxing liqueur that could be enjoyed a number of ways. 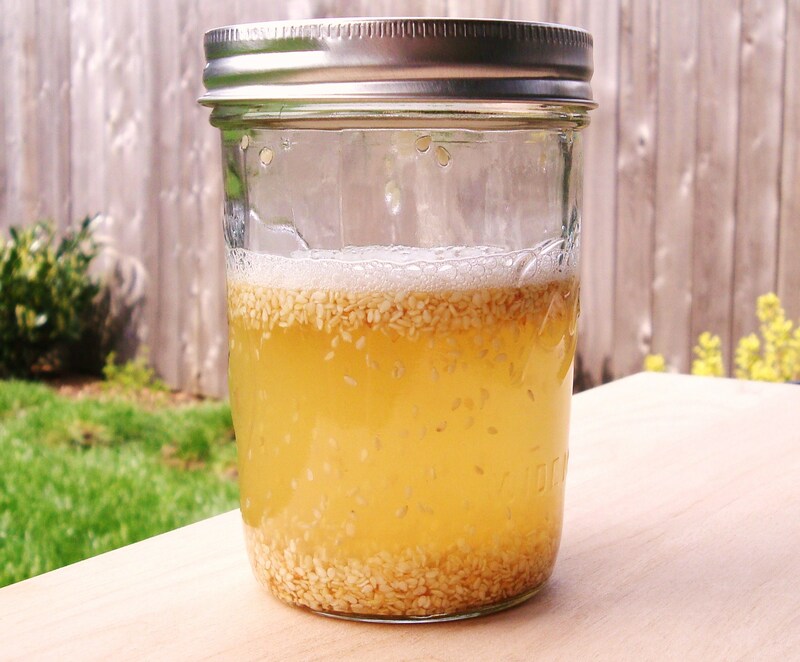 Add all ingredients together in a pint jar (or larger if you are multiplying the batch). Close the jar tightly and shake well. Allow to infuse for about 3-4 weeks. Strain and filter, and enjoy! Categories: Infusion, Liqueur | Tags: Chamomile, herbs, honey, lemon, vodka | Permalink. Well National Vodka Day has nearly passed. Did you do anything fun to celebrate? We tested out a new cocktail, our first try at using the Cantaloupe Vodka we made this summer. And this drink is fabulous; the perfect way to pay tribute to this special day. Combine honey and water and heat until honey is dissolved. Allow to cool. Add honey-water combination, lime juice, and Cantaloupe Vodka to a cocktail shaker with ice. Shake vigorously, and strain into cocktail glasses. Add lime twist. This drink is really delicious. It is sweet, tangy, and somehow the lime and honey allow the cantaloupe flavor to really shine. Categories: Cocktail, Drinks, Recipes, Uncategorized | Tags: Cantaloupe, cocktail, honey, lime, mixology, recipe, vodka | Permalink. I like sesame, and I like honey. When I was a kid, we used to make a variety of a honey-sesame candy, and somehow I thought it would be good to infuse vodka with these flavors. … it is delicious! Stirring frequently, toast the sesame seeds in a frying pan on low, until they start to brown. Remove from heat and allow to cool. Add all ingredients to a small canning jar or other sealing jar. 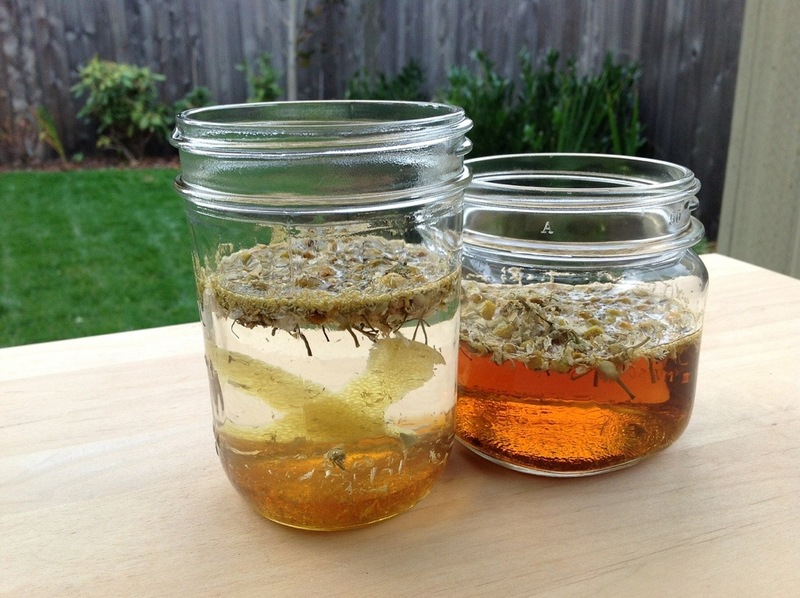 Shake, and allow to infuse in a dark, cool place for 3-4 weeks. Strain and filter, with cheesecloth and a coffee filter, then enjoy! This infusion really tastes like sesame and honey. I think it will be great in cocktails… any ideas? Ok, so back to these sesame seeds… Since I’ve been on a roll trying to use my infused ingredients, I decided to keep the infused, vodka soaked seeds. I toasted them on low in the oven until they started to brown, stirring occasionally. 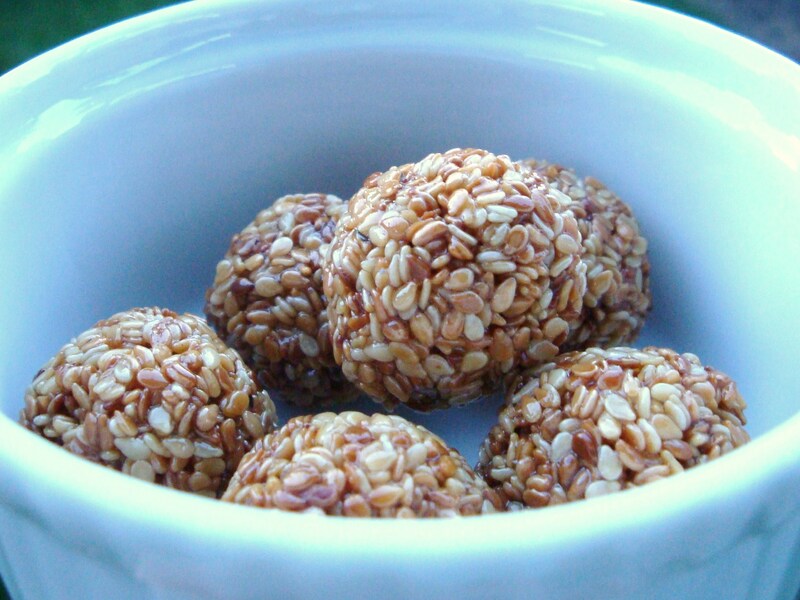 I then roughly followed the instructions for a sesame-honey candy (from Nourished Kitchen), and … they were pretty good! They disappeared pretty fast. If you like sesame, you will like this liqueur. Categories: Food, Infusion, Liqueur, Recipes | Tags: candy, honey, Liqueur, recipe, Sesame, vodka | Permalink. Here is our “healthy” cocktail suggestion for the Mango Liqueur. Light and refreshing, this will be a great spring/summer beverage… if only it was spring in the Northwest! 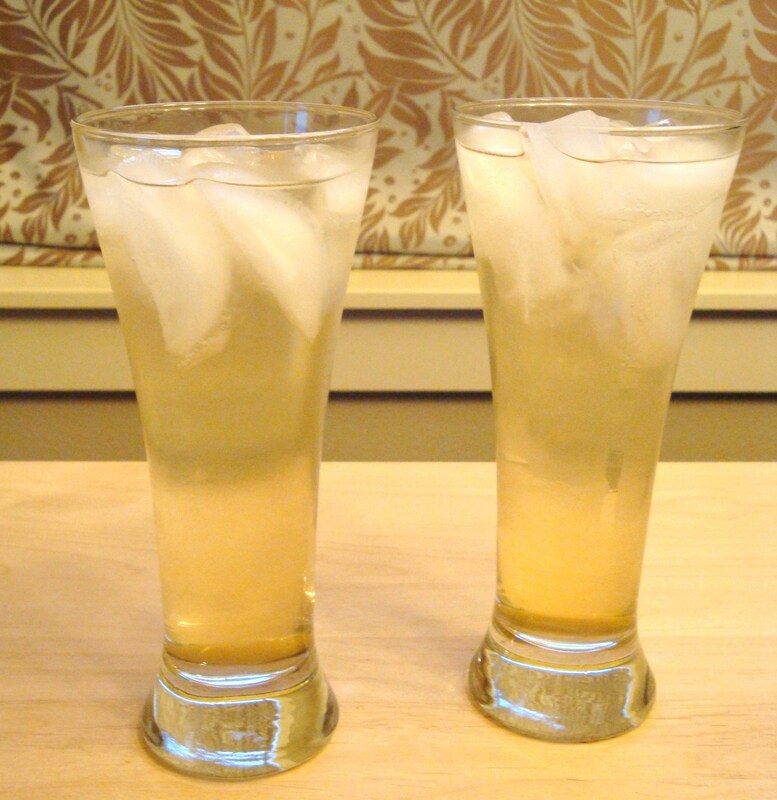 Categories: Cocktail, Drinks, Recipes | Tags: club soda, drink, honey, Liqueur, mango, recipe | Permalink. I used to think that summer was the best time of year for making liqueurs. With all of the fruits and berries in the area, it can be daunting to decide what to infuse. 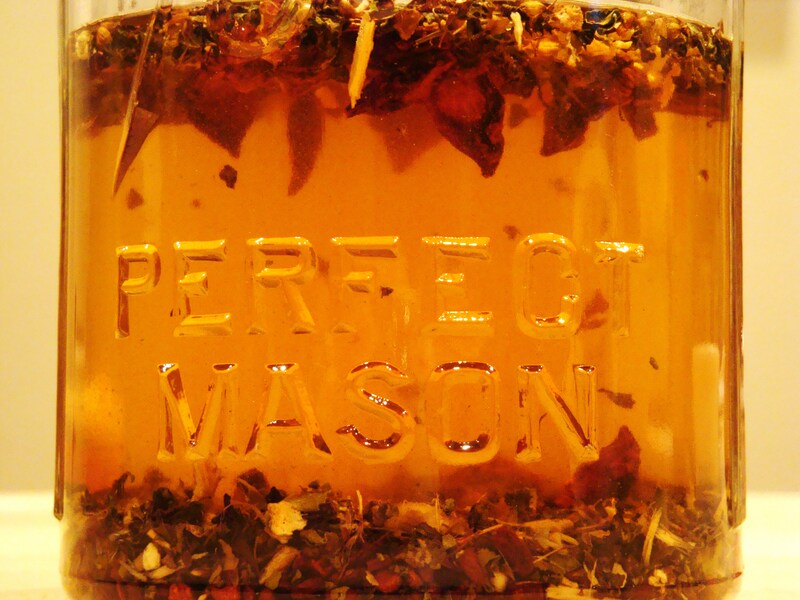 For the winter, we started infusing other items like tea, herbs and spices, nuts, etc. When Eileen and I started thinking about infusing winter fruits, we found a lot more than we thought we would. Here are a few ideas to take advantage of while it is cold outside. Remember, the sooner you infuse, the sooner you can enjoy! I infused the blend for about 2 weeks before adding any honey. At 2 weeks, I added the honey and let it infuse for another 3 days before straining. Can be enjoyed plain, in a cup of hot water or tea (with a squeeze of lemon) or in a favorite cocktail. 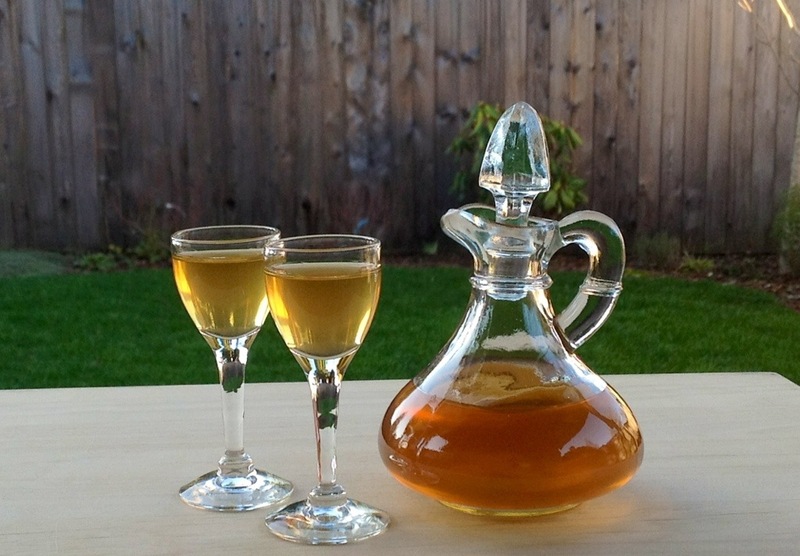 Categories: Liqueur, Recipes | Tags: honey, recipe, tea | Permalink. I made this Honey and Saffron liqueur a few months ago and have been very happy with it. We used it in a Champagne Cocktail taste test (more on that later) but most recently trialed a new cocktail that we’re calling (for now) the Bit-o-Honey. Combine all liquid ingredients in a cocktail shaker with ice, and shake vigorously. 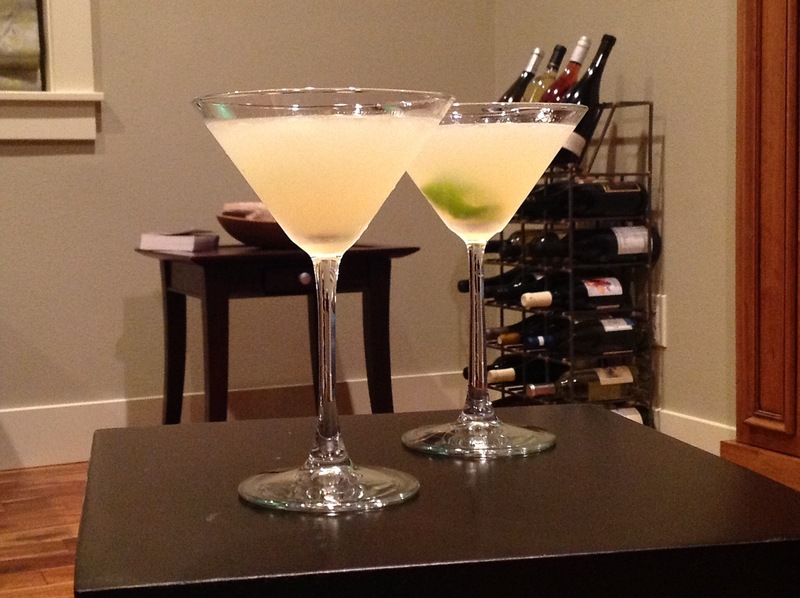 Strain into chilled martini glasses, and add a lemon twist. If you don’t have Martin Miller gin, you can likely substitute whatever gin you have. But if you can find it, give it a try. It has a much cleaner, lighter taste than most gins. The juniper flavor is almost absent with a very light floral scent. 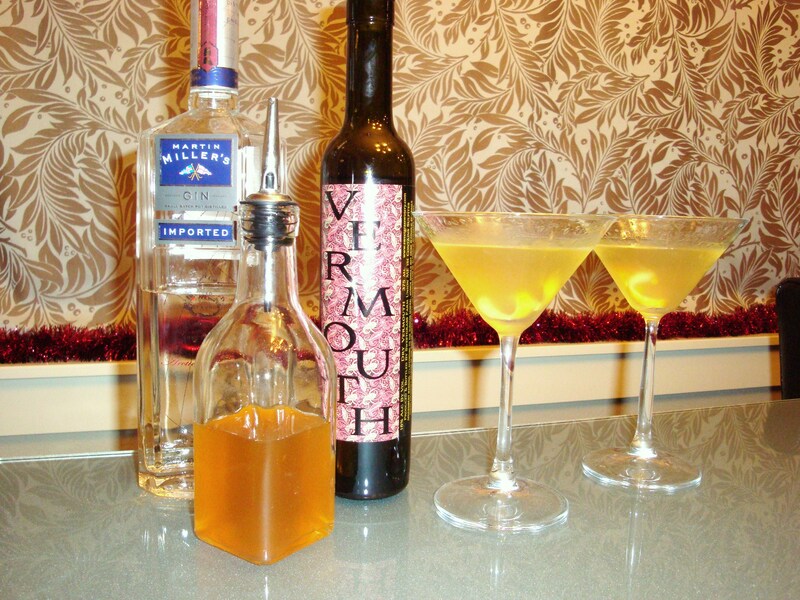 Categories: Cocktail, Recipes | Tags: cocktail, gin, honey, Vermouth | Permalink.